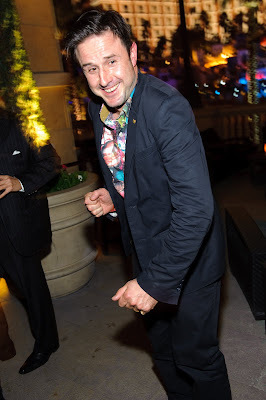 Monday night actor David Arquette hosted an intimate dinner gathering at LAVO in celebration of his clothing line PROPR. The line, developed in conjunction with musician Ben Harper and David Bedwell, former creative director for Penguin, features woven shirts in fabrics of organic cottons, ringspun denim and cashmere along with denim and twill pants, shorts and blazers. 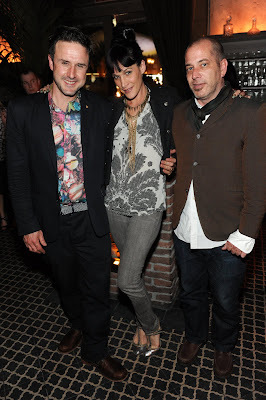 Arquette personally designs the line’s popular t-shirt collection. 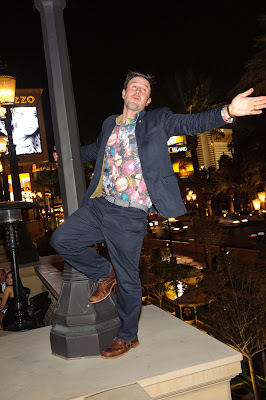 Wearing a limited edition shirt from the line featuring planets and dinosaurs, Arquette and the group took over the private dining room where he regaled all with stories of his early childhood clothing choices. Arquette selected a magnum of Dominus to pair with a dinner of LAVO favorites specially selected by Chef John DeLoach. He kept the group laughing throughout the night and shared that his biggest fear of the trip was that he would lose wife Courteney Cox Arquette’s niece, whom he had brought along for her first visit to Vegas. After dinner everyone adjourned for cocktails in the lounge and enjoyed the perfect weather outside on LAVO’s expansive terrace.